Authentic bowls used during the Cultural Revolution painted with a scene of Tiananmen Gate in Beijing, also showing sunflowers. 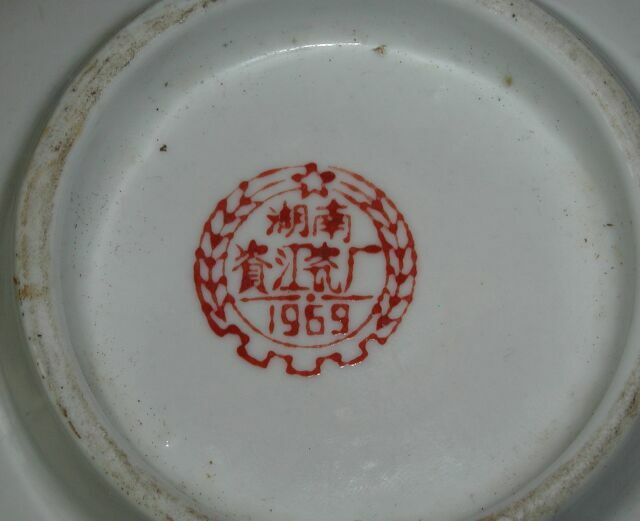 These were produced in Hunan in 1969. Each bowl is 15.5 cm in diameter.